A rewards program can be a useful marketing tool for any retail company. By rewarding purchases, these programs help retain customers and encourage them to buy more. This is also cost effective for popular business companies. It costs, on average, a business 5 times more to acquire a new customer than it costs to retain an old one. As a result, rewards programs have become common throughout the retail sector. The problem is the average consumer only uses around 6 of the 14 programs they are enrolled in. As a result, marketers must be careful that any new rewards program is effective in this cluttered market space. An effective rewards program should include the 5 following criteria. In order to retain more customers, your rewards program should have a simple point system. In most rewards programs, the customer receives points for each purchase made. These points can be redeemed for rewards. 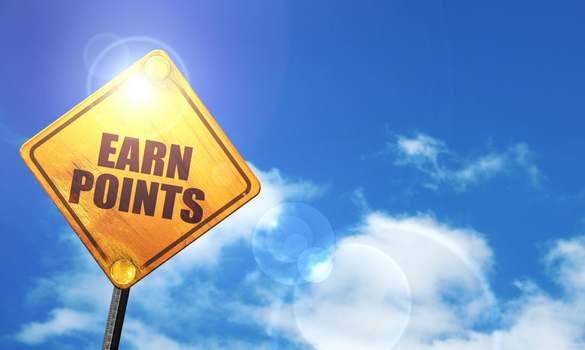 However, in many programs, the equation for earning points is confusing. Customers do not understand how many points each purchase produces. Additionally, they don’t know how much those points are worth. Customers will get frustrated with a complicated formula. More so, they could end up feeling cheated by a convoluted points system. For your rewards program to succeed, customers should be able to understand the points system from one glance at a graph. A simple point system will quickly establish trust between your company and the customer. To encourage sales, feature a tiered loyalty system in your rewards program. In a tiered loyalty system, customers are separated into a selection of internal tiers. The rate of customer’s purchases determines their tier. You can encourage customers to buy more by moving to higher tiers. Your tiers can range from newbie to VIP. Of course, your new customers can get some bonus for just starting up. Then, your VIP customers can get rewards for anniversaries. A tiered loyalty system will ensure your program does what it’s supposed to do, encourage sales. A strong reward program will reward customers for more than just buying products. It’s important to use point distribution in creative ways. For example, consider giving every customer in the program a fun email and some points on their birthday. This creates positive reinforcement for your marketing branding efforts. Additionally, these rewards remind the customer that they have deals with your brand. Certainly, you can pick up more sales by giving away some extra points and reminding customers about your deals. When they are reminded of your brand, they are more likely to trust your rewards program as well. They’ll respond to the generosity with more loyalty to your brand. Include an exclusive app as one of the perks of the rewards program. The app will make it easier for your customers to keep track of their points and use them. However, the app should also offer the members easy shopping options. Allow app users to buy things from your company faster and more efficiently. This will reinforce brand loyalty since customers will grow dependent on it. They will be less and less likely to seek a competing brand because your rewards app lets them buy what they want easier and faster. With a rewards app, your rewards program can cement brand loyalty through convenience. Your rewards program can retain customers if it helps out the community through charity. Consumers are more likely to support companies that publicly support charitable causes. By linking charitable giving to a rewards program, your company can increase those ties within your online business model. For example, your program can offer customers the option of redeeming some of their points as a charitable contribution. This will not only provide the company with community goodwill, it will help encourage a stronger connection with the customer. Rewards programs are a great way to encourage brand loyalty and retain customers. However, with so many reward programs in the market your company’s program will have to do more to be effective. The above criteria will help your program stick out. Make sure your point system is simple enough to follow. Increase sales with a tiered loyalty system. Include non-sales situations to give customers points. Add an exclusive mobile app for convenience. Offer charitable rewards to encourage goodwill. These criteria will ensure that your rewards program will keep customers coming back for years to come.